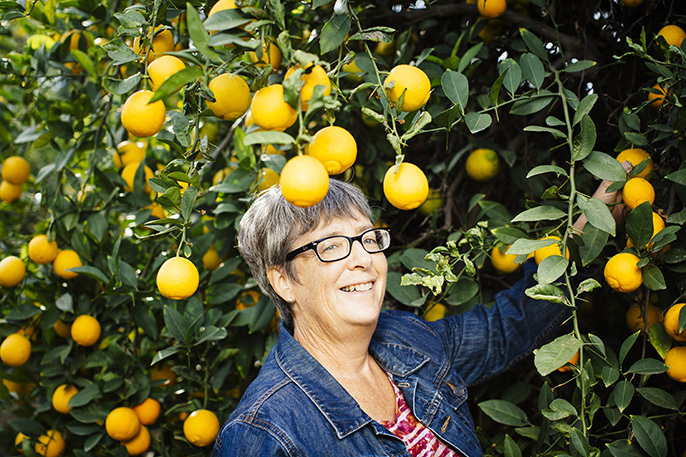 An endowed chair position will be established at the University of California, Riverside to support and maintain in perpetuity the university’s Citrus Variety Collection thanks to a $1 million endowment from Givaudan, a Swiss-based company that is the global leader in the creation of fragrances and flavors. The gift comes on the eve of the 10th anniversary of Givaudan’s collaboration with the university’s Citrus Variety Collection, which includes more than 1,000 citrus varieties and is one of the most extensive, unique and diverse citrus collections in the world. Givaudan’s endowment will help underwrite the long-term sustainability and growth of the collection by supporting the collection’s curator, the holder of the Givaudan Citrus Variety Collection Endowed Chair. “This donation and the endowment of the chair is a demonstration of our continuous commitment to both the world of citrus and to UCR,” said Mauricio Graber, president of Givaudan's Flavour Division. In 2006, Givaudan began a focused program at UC Riverside called TasteTrek Citrus that has since spread to groves in countries around the world. Over the past 10 years, more than 30 Givaudan flavorists and flavor scientists from all regions have participated in the treks. More than 200 fruits have been evaluated and more than 70 fruits have been fully analysed for chemical composition. In the grove, customers and flavorists are able to explore the unique flavor nuances of non-commercial citrus fruits and experience the cultural diversity that citrus represents. The Citrus Variety Collection was begun in 1910 to support the needs of the developing citrus industry in Southern California. It serves as a resource for research, development of new varieties and citrus-related education. Over the years Givaudan has worked in close collaboration with Tracy Kahn, the curator of the collection. She and her staff are experts in citrus and her detailed understanding of both citrus and Givaudan’s programme has made her an invaluable partner enabling the TasteTrek program and the Givaudan collaboration to thrive.